The first yahrtzeit of Barnard College student Daniella Moffson will be commemorated by family, friends, classmates and as part of a multifaceted campaign that links to social media. Moffson, 21, was a pre-med student at Barnard College in New York. Her goal was to be a pediatric oncologist, a reflection of her love for children and her desire to help others. 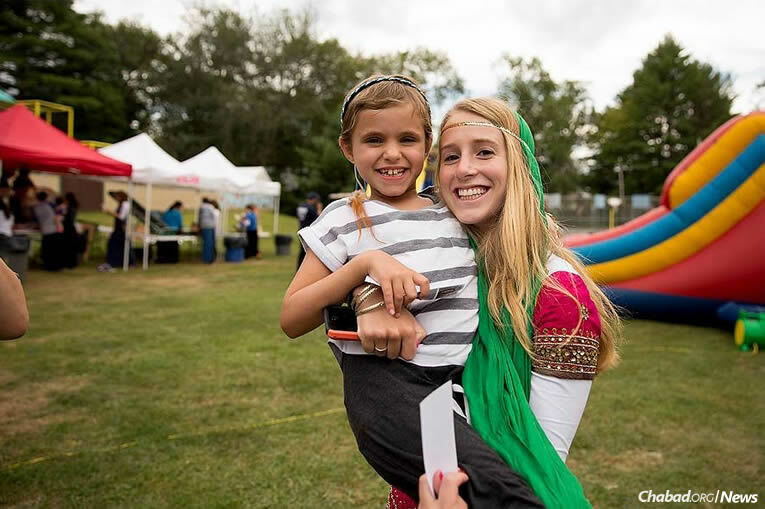 She was an active volunteer with Friendship Circle, a Chabad-affiliated program serving children with special needs, and was instrumental in recruiting several other teens from her high school to participate as well. Her family is involved with Colel Chabad, which provides assistance for indigent people in Israel. Moffson’s family and friends have been creating projects in her memory all year long. Now, they are coordinating a multifaceted campaign with Chabad to commemorate the first yahrtzeit of the young woman whose compassionate heart and generous spirit inspired so many. Candle-lighting before Shabbat, learning and a Havdalah ceremony will be dedicated to her memory this weekend at a Chabad Young Professionals retreat in Austin, Texas. Candle-lighting kits will be given out to girls at the annual CTeen Shabbaton in New York in February. And a social-media campaign organized by the Chabad Young Professional Network and CTeen this weekend will encourage people to kindle a light before Shabbat and do a mitzvah in memory of Moffson. Moffson exhibited a love for children and a desire to help others, as seen through her actions and involvement with so many causes. Many of these projects are made possible by the Daniella Moffson Foundation, which was initiated last year to honor Moffson and the causes she held dear. 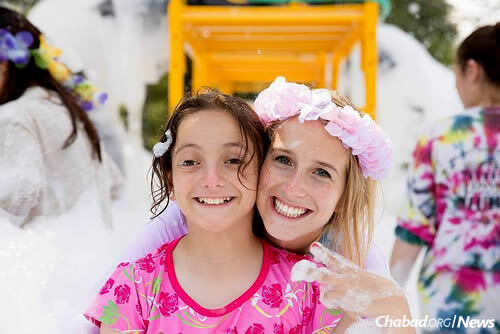 The first one undertaken by the foundation was the construction of a bunk at Camp Simcha called Beit Daniella, which will be ready for use this summer. Oshry serves as a member of the foundation’s junior board, which helps coordinate programs for Jewish teenagers and young adults. Some of the programs, which are announced on the foundation’s Facebook page, include Chanukah toy drives for the locally based OHEL Children’s Home and Family Services, and the AMIT children’s organization in Israel; the Daniella Moffson Siddur Project, which has benefited the Chai Lifeline project and other programs; a worldwide series of Torah-study sessions dedicated to Moffson’s memory; the Daniella Moffson Minyan Project; and the creation of “Team Daniella,” a group of runners who are participating in the Miami Marathon on Jan. 29, raising money for Chai Lifeline. Moffson was one of three people who were killed on Jan. 13, 2016, when the airport-bound bus they were riding on veered off the road and crashed into a ravine. She had been traveling with a group of Barnard and Columbia University students on a mission organized by Global Brigades, which uses volunteers to provide health and economic assistance to underprivileged communities.